Home intrusions are on the rise and don't seem to choose any particular neighborhood or city. Home security surveillance systems are designed to protect you and your family's home from unwanted intruders. Whether you want to keep monitor your sleeping baby or protect the entire home, you will find a home surveillance system that meets your needs. The presence of video cameras alone can deter an intruder. Home intrusions are on the rise and don’t seem to choose any particular neighborhood or city. Home security surveillance systems are designed to protect you and your family’s home from unwanted intruders. Whether you want to keep monitor your sleeping baby or protect the entire home, you will find a home surveillance system that meets your needs. The presence of video cameras alone can deter an intruder. Today’s home security systems are easily monitored with a video camera. You don’t need to install a complicated cabling system in your home in order to use a home surveillance video system. Video monitoring systems can now use either a wired Ethernet or wireless WiFi local area network found by your home’s smartphone, computer or other devices to display images. A local area network or LAN is used to connect printers, gaming consoles and HDTV’s. Your Internet is connected by a wide area network. Your LAN system shares data with many devices while keeping a closed system. If you connect your Internet service providers modem into the network’s router, you can access the Internet. The router stores network data and also sends data to various locations. These devices allow you to monitor your home security system from anywhere in the world. Infrared cameras are able to record images during low-light conditions. These cameras are often referred to as IR cameras. They do a great job capturing images even in total darkness. IR surveillance cameras record in color during the daylight hours and automatically switch to black and white at nighttime. The IR cameras are a popular choice for homeowners searching for a new video surveillance system to monitor their home. There are several types available for home surveillance systems. If you plan to have an outdoor surveillance system, consider how many cameras you need to install to cover all outdoor areas of your home. Most digital video recorders can accommodate up to four to eight cameras. Some camera models can support up to 32 cameras. It just depends on how large of an area you want to cover. You might want to contact a professional security company to inspect your home and offer guidance. 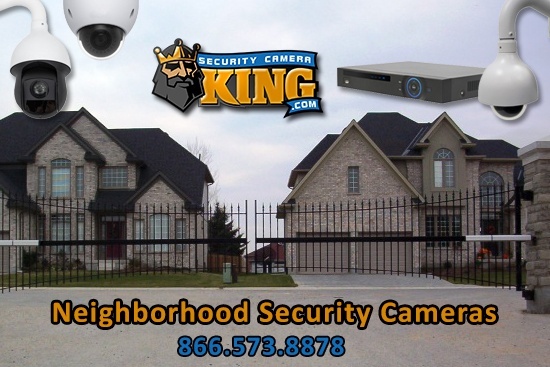 A professional security company can help you determine the right amount of security cameras for your home. To monitor your home security system from any computer, the digital video recorder must be connected to a modem or router. For best results, a professional should be consulted to ensure everything is working properly. When the system is working properly, you should be able to log into any computer and view the digital images. The DVR should be set up with a secure password to avoid hackers being able to gain entrance into your security system. When you consult a professional security company, you will save a lot of time. Home surveillance systems can be difficult to install. Home security surveillance system should combine other security steps to ensure a higher overall level of security of your home. Keep valuables hidden well or place them in a safe deposit box located away from your home. Be sure to install sensors on your doors and windows. An intruder often uses the front or back door to gain entry into your home. Windows are another vulnerable area, and you can install sensors that will sound an alarm when the glass breaks or the window is opened. Videotape the contents of your home and store in a safe deposit box. This will provide proof of your home’s contents that will be helpful for law enforcement officers and insurance companies. Be sure the audible alarm is loud enough to alert neighbors of the possibility that your home is being broken into. Get to know your neighbors well enough that they will become suspicious if they hear your alarm system going off. Join neighborhood watch groups and become active in your community. Knowing your neighbors is a great way to have your home watched for suspicious activity. If you move into a new home that has a security system already installed, call the company to be sure the system is up to date. Recent technology has improved security systems and you can learn about the latest technology advances in home security. Protecting your home and your family is a high priority. 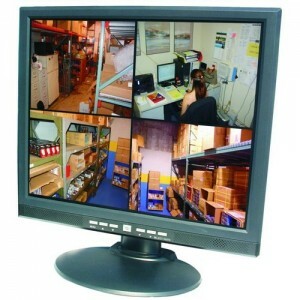 Learn everything you can about surveillance cameras and security systems. Some community law enforcement agencies offer training classes in home security. Contact your local law enforcement office or search their website for more information about their security programs. Install the best locks on the market inside your doors that lead into and out of the home. Add dead bolt locks as a secondary precaution. Peep holes are a great way to see who is at the door without opening it. Arm your security system when you are home. A lot of people fail to turn on their security system once they arrive home. A home invasion can happen at anytime of the day or night. The intruder may not be aware that anyone is at home. For additional nighttime security, install motion detecting lights on the outside of your home. These are particularly useful in driveways and entry points of your home. There are also driveway sensors that can be installed to sound an alarm when someone drives or walks in your driveway. The garage is a favorite place for intruders to enter into your home. If you have a garage door opener, be sure to change the code frequently. Another good idea is to install a deadbolt on your garage door to use when you are away from home for a long period of time. When planning a family vacation, contact to post office to hold your mail delivery until you return. A full mailbox is a good indicator that no one is at home. You can ask your neighbor to park their car in your driveway while you are away. Anything you can do to make your home appear lived-in will help deter intruders. You can also buy timers for your indoor lights to come on during various hours of the day. Hire a lawn service to cut your grass while you’re on vacation. 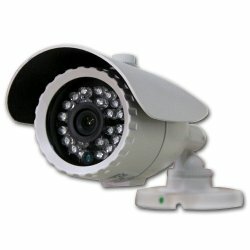 There are a few common styles of video cameras to choose when shopping for a home surveillance system. The bullet camera is also known as the lipstick camera. This surveillance camera is small and can be used when you want your camera hidden. It comes in a waterproof protective casing. The bullet camera can be used indoors or outside. The dome camera is the camera you see most often at the retail stores, shopping malls and businesses. Dome cameras are equipped with tinted glass to prevent camera angle detection. These cameras offer a wide view of surveillance. Dome cameras are weatherproof and reinforced to prevent being tampered with. 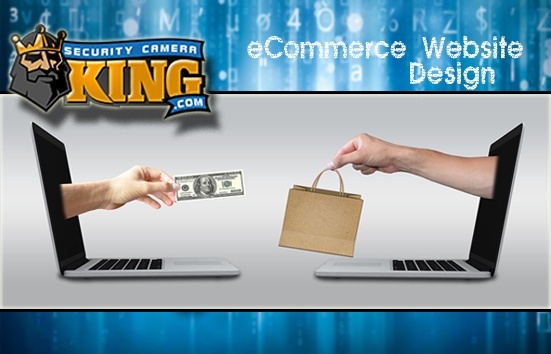 The box camera is found in businesses and other places where the camera is meant to be seen. This camera is a popular choice for homeowners who want to monitor the indoor area of their home. They are not suitable for outdoor use. The resolution of the camera you choose should be as high as possible. The resolution determines how clear the images display. A resolution of 525 to 580 is a popular choice for homeowners who want a clear image. Hi-definition cameras are more expensive but have a much higher resolution. Wireless cameras are gaining in popularity because they are easier to install. Although they are convenient, they are susceptible to interference from cellphones and other electronic devices. Home security systems have motion detectors that can distinguish between a pet or a person. Sophisticated security equipment has evolved over the past few years. You can install fire detectors that detect heat instead of older models that detect smoke. Technology advances has made the cost of home security equipment lower than ever before. Preventing false alarms will improve the effectiveness of your security system. False alarms cost money and use up valuable resources. To reduce the number of false alarms, educate all family members in the proper use of the alarm system. Be sure you read the owner’s manual on your alarm’s keypad and become familiar with the way it works. Check the backup batteries are properly charged. Local law enforcement agencies may charge a fee for a false alarm. Learn the false alarm rules in the community where you live. If you have window sensors installed on your windows, check to be sure they are adjusted properly. Some window sensors will go off due to thunder and lightening. Be sure all doors are secure and locked to prevent the wind from opening them. If your home alarm system is monitored by a professional alarm company, let them know if you have contractors entering your home. Don’t give contractors your security code, or if you do, then change the code after the work is finished. If you have senior residents living inside your home, you can install medical alerts. Medical alerts can be tripped from several areas of the home. There are also portable medical alert devices that seniors can wear. It’s also important to install carbon monoxide poisoning alarms. Carbon monoxide poison can’t be detected through your sense of smell. High levels of carbon monoxide is dangerous for every family member. Install automatic lights that turn on when someone enters the room. This will help seniors see their way and reduce the risk of falling. Go through each room in your home looking for loose cords and other objects that can easily be stumbled upon. When you install a home security surveillance system in your home, many home insurance companies offer discounts of up to 20 percent. In some cases, the system must be monitored by a professional security company, but check with your insurance agent before you buy a new home security system. The cost for home security surveillance equipment varies and depend upon which security system you choose. Most professional security system companies offer homeowners do-it-yourself home security kits. If you decide to install the system on your own and you run into installation problems, then you can easily call the company that sold you the kit to answer your questions. The initial cost of installation can be zero if you use a home security monitoring company and they are running a special. The landscaping surrounding your home can be a perfect hiding place for an intruder. Be sure to keep shrubs, trees and bushes pruned. Walk through the outside of your home and think about the best way an intruder would break in. Secure these areas with sensors and alarms. The surveillance camera should be focused on these areas too. One of the advantages of having surveillance equipment, is the opportunity to record the intruder. This can lead to the arrest of the intruder and the return of your personal property. 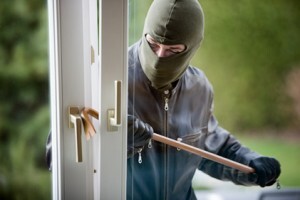 Go through each area of your home both inside and outside and think like a burglar. Place warning signs on your fence and near the front and back door of your home. Warning signs let the intruder know that you have a dog, security or surveillance system in place. This will usually deter the intruder and they will likely choose an easier target. Dogs that make a lot of noise are good to use as an additional layer of home security. Decide what kind of security system you need to protect your home and family. Speak with a professional security representative to understand the different types of security equipment. If you don’t think you can install the system on your own, then you can turn to the professionals for assistance. Although no home is completely safe from intruders, you will reduce the chance that your home is broken into. You have a lot of options available to you when it comes to home security. The more you learn about the types of equipment, then you will be able to choose the right system for your home.